Providing you the best range of prefabricated pool, diving pool, polymer wall pool and in ground swimming pool with effective & timely delivery. 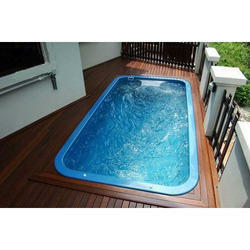 Since the inception of our company, we are engaged in providing a superior range of Prefabricated Pool. The offered pools are extremely popular in the market due to their robust construction and longer operational life. We offer these pools in various sizes and designs which can be further customized to meet the requirements of our esteemed clients. They are designed using superior grade raw material under the guidance of skilled professionals to meet the standards laid down by the industry. The prefabricated pools from Australia are multiple gold award winners as judged by the Swimming Pool and Spa Association (SPASA), Australia. SPASA has Awarded the pools the Best Prefab Pool in Australia for the past five consecutive years. This is an amazing achievement, a testament to the quality and versatility the pools can provide. Ease of installation. Can be installed at sites with difficult access. Suitable for all types of terrain. Installed and ready for swimming within 10 days. 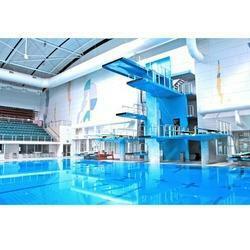 Owing to the presence of our expert team members, we have been able to offer a qualitative range of Diving Pools. Our offered diving pools are designed with the aid of the latest 'surge bubble' design, which assists the divers during training and prevents them from injuries by softening the water surface. 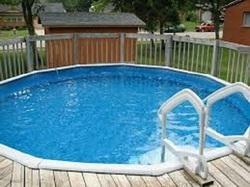 These pools are made in accordance with the latest industrial norms set by the industry. These are available in various sizes, shapes and specifications. Besides, we offer these at the most affordable rates in the market. The 'bubble' breaks the water as the diver hits and prevents injuries by softening the water surface. Underwater viewing windows, available when booked for a corporate or commercial request. To meet the variegated demands of the clients; our company is instrumental in offering an excellent quality range of Polymer Wall Pool. Our provided pools are reckoned for their cellular structures and award winning polymer panels. 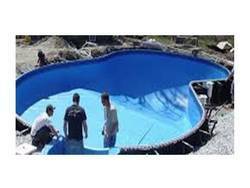 We offer these pools in varied sizes and provide further customization to meet the demands of our esteemed clients. These pools are designed using high-grade raw material and advanced technology to meet the standards laid down by the industry. We offer these at cost effective rates. Our award winning polymer panels are strong and durable. Made of stable, non-biodegradable polymer greatly increases the longevity of the pool. In addition, the cellular structure acts as a thermal screen holding heat in the pool and blocking the penetrating cold from surrounding soils. Our Polymer straight panel is made from high impact, polystyrene resin. The top, bottom and side rails of the panel are 4" wide, and each panel is rigidized with vertical and horizontal ribs. The center vertical rib in the 6' panel allows for a wall/deck support every three foot. Polymer Pools combine the rugged engineering of a molded box-flange panel with the benefits of completely non-corrosive Structural Polymer, which means you can install a Pool where soil conditions prevent the use of conventional steel.